A lens is a apartcentreconcaveconvergingeyefocalfocusinwardsparallelrealtransparentvirtual block that causes light to refract to form an image. There are two types of lens: convex and apartcentreconcaveconvergingeyefocalfocusinwardsparallelrealtransparentvirtual . 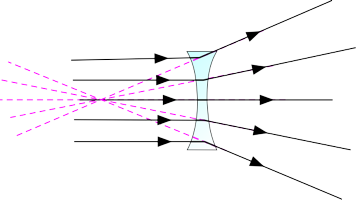 A convex ( apartcentreconcaveconvergingeyefocalfocusinwardsparallelrealtransparentvirtual ) lens is curved outwards on both sides. Rays from a single point on a distant object arrive at the lens apartcentreconcaveconvergingeyefocalfocusinwardsparallelrealtransparentvirtual to one another. A convex lenses refracts these parallel rays so that they are come together at a point called the principal apartcentreconcaveconvergingeyefocalfocusinwardsparallelrealtransparentvirtual . These lenses focus the rays of light to produce a apartcentreconcaveconvergingeyefocalfocusinwardsparallelrealtransparentvirtual image that can be projected onto a screen. The apartcentreconcaveconvergingeyefocalfocusinwardsparallelrealtransparentvirtual length is the distance between the centre of the lens and the image. 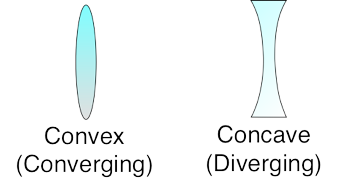 A concave (diverging) lens is curved apartcentreconcaveconvergingeyefocalfocusinwardsparallelrealtransparentvirtual on both sides. Concave lenses refract the parallel rays of light so that they spread apartcentreconcaveconvergingeyefocalfocusinwardsparallelrealtransparentvirtual from one another. This means that they form a apartcentreconcaveconvergingeyefocalfocusinwardsparallelrealtransparentvirtual image that cannot be projected onto a screen. The diverging rays can only be seen by the apartcentreconcaveconvergingeyefocalfocusinwardsparallelrealtransparentvirtual , and appear as having come from a different point to where the object is. The point at which the rays appear to have come from is called the apartcentreconcaveconvergingeyefocalfocusinwardsparallelrealtransparentvirtual . The focal length is the distance between the apartcentreconcaveconvergingeyefocalfocusinwardsparallelrealtransparentvirtual of the lens and the focus.